The Look: Clean, crisp, super-defined lines seen in brows, eyeliner & lips. 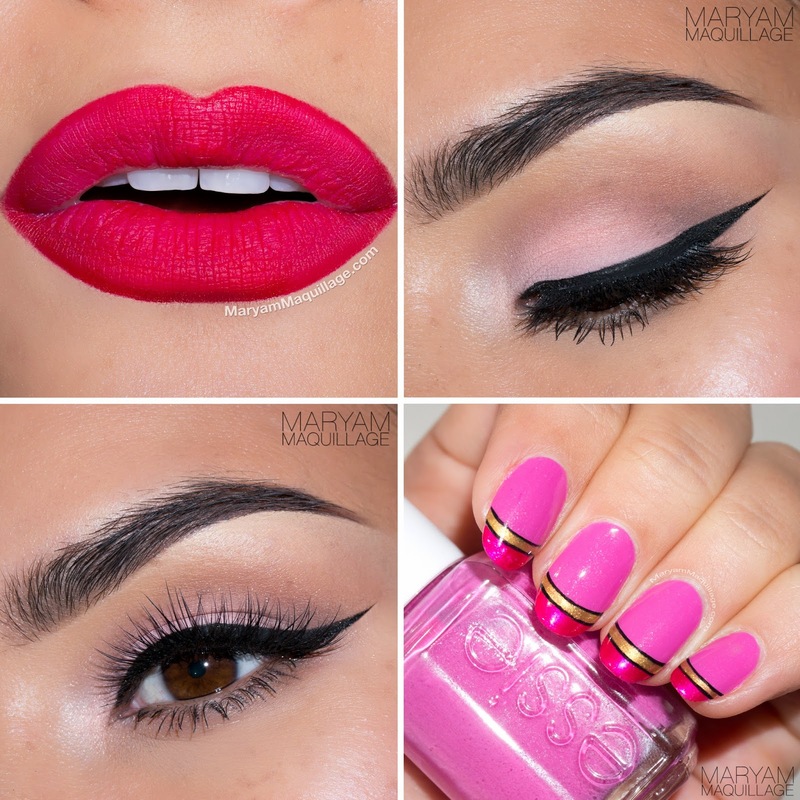 Pink on the lids, red-hot on the lips, complete with flushed cheeks and well-sculpted features. use promo code MARYAM for a discount! Beautiful! Do you have a tutorial for this makeup? not yet, but I can make one! !